In a medium pan, heat some olive oil and saute the onions and peppers 20-25 minutes. Seasoning with the salt, rosemary and thyme as it cooks. Press the pie crusts into springform pans that have been sprayed with cooking spray. Prick with fork and bake 10 minutes. Remove from heat and cool. Keep the oven at the 450° F temperature. Place the zucchini slices on a large baking sheet. Brush with olive oil and season with salt & pepper. Roast in the heated oven 10 minutes. Place the onion-pepper mixture into a mixing bowl and add half of the shredded Gruyère cheese. Toss to combine. Put the baked crusts on a large baking sheet. Scoop half of the onion-pepper-cheese combo onto each of the pie crusts. 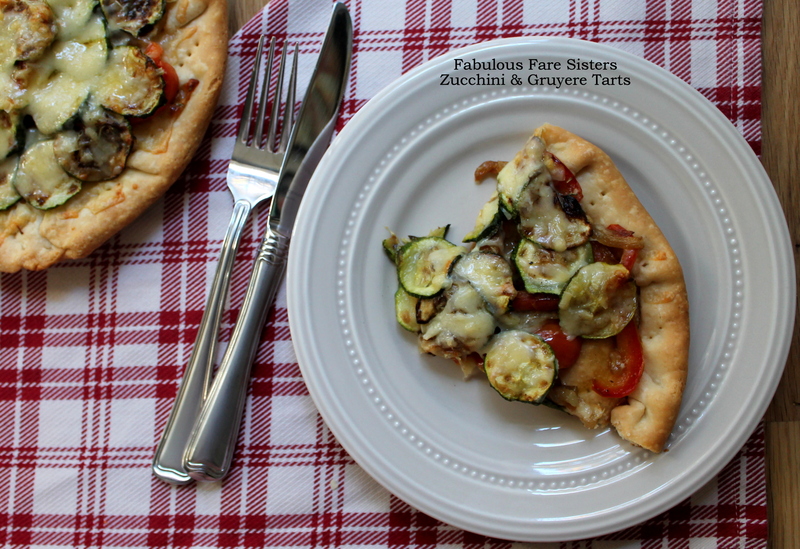 Layer with the zucchini slices and sprinkle with the Gruyère cheese. This recipe has been shared at Family Joy Blog Party, Colors & Craft Party, DIY Dreamer Party, Wine’d Down Wednesday…go check it out and then go visit some other great sites! Seriously, it’s like you read my mind! Yum. I love tarts, and anything with Gueyere! Beautiful! Love the idea of using pie crust in a spring form pan. It looks really delicious. Are those regular sized spring form pans? 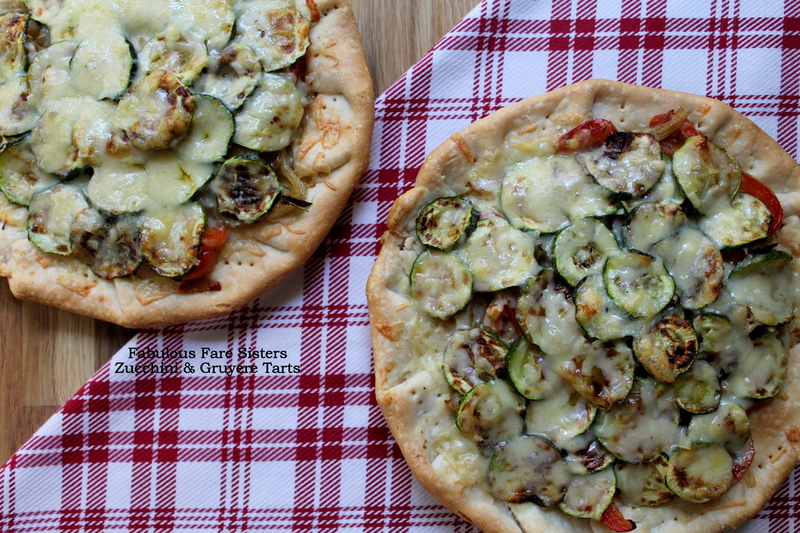 One of the healthier pizzas I have seen! Yep! And surprisingly tasty too!